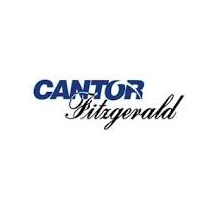 Cantor Fitzgerald Canada Corporation, a subsidiary of Cantor Fitzgerald LP, has expanded its equity research analyst team with the addition of Ralph Garcea as its newest managing director and senior technology analyst. Cantor Fitzgerald Canada had made a similar move back in the fall, culminating with the appointment of Peter Gombocz as its managing director. In addition to the instalment of Mr. Garcea, Jonathan Samahin and Steven Duenkler will also be joining the group as institutional equity sales traders. All three new hires will be based out of Toronto, reporting to Cantor Fitzgerald Canada’s President and CEO Laurence Rose. “We are excited to welcome Ralph to the equity research team at Cantor, and look forward to his collaboration with other technology analysts to deliver prescient insight to our clients. As we continue to strategically expand our team in ways that will add value to our firm’s client base, I am confident that Ralph will prove to be a tremendous asset to the team. We expect to further enhance our capabilities with additional hires in 2015,” added Global Director of Research Christina Valauri of Cantor Fitzgerald. Prior to joining Cantor Fitzgerald, Mr. Garcea had previously served as managing director and head of equity research at Global Maxfin Capital Inc. Additionally, Mr. Garcea has also worked in a number of senior positions at Haywood Securities, Credit Suisse First Boston and Scotia Capital.